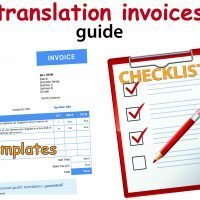 If you’re after a good quality translation, ensuring your documents are handled by a professional translator can be really important. 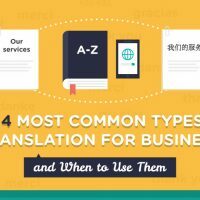 After all, the quality of the translation can have a long-lasting effect on the reputation and image projected by your company. What defines a professional translator? When we talk about “professional translators” or “professional translation services”, we refer to translations that are completed by linguists who have relevant tertiary qualifications in translation and sufficient industry experience. They may specialise in a particular field of translation, or they might work in a more general context. Translator suitability will depend on the content being translated. Why are non-professional translators often used? There are many misconceptions surrounding the translation profession. Firstly, translation is often not even considered a professional activity. It is commonly assumed that having knowledge in a second language immediately enables translation. But having excellent knowledge of a second language does not necessarily provide a person with the translation skill set and theoretical groundwork required to make the various “decisions” that professional translators deal with on a daily basis. These are acquired through tertiary qualifications and years of experience. Even a native speaker can begin to lose certain skills and proficiency, or knowledge of societal contexts, if away from his or her native country for an extended period. 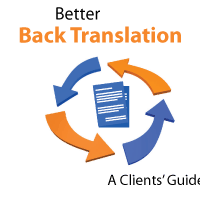 Economic considerations also often lead to clients relying on bilingual employees working in the same industry for the translation of their material. However there is much more to the translation process than meets the eye. Professional translators are prepared to deal with these challenges. 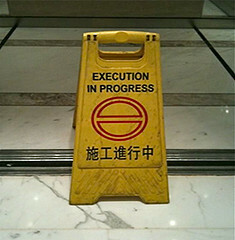 If your message is important it pays to use a professional translator. Professional translators make informed translator decisions based on years of study and experience. This enables them to render information appropriately in another language. 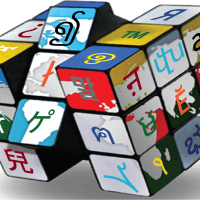 They have a much greater understanding of the purpose of each particular translation, of the origins of the text and its surrounding context, and of the intended audience than somebody who is simply proficient in a second language. They are linguistic, cultural and translation experts. 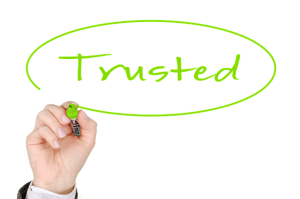 Using their qualifications and years of experience, professional translators know when and how to adapt style, register, terminology and other elements to provide quality translations. Professional translators are linked to professional translator associations. This means they meet the appropriate skill, knowledge and qualification requirements for membership of a professional body. This is very important as it helps to set and maintain high standards. It also means they are up to date with current trends in the translation industry. 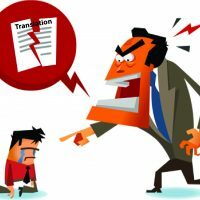 Professional translators are bound by the ethical obligations that are relevant to their industry. This means that by leaving your material in the hands of a professional translator, you can be assured that it will be handled professionally, confidentially and impartially. Professional translators take responsibility for the accuracy of their work and are committed to recognising their own levels of competence. They are obliged not to take on projects beyond their expertise. 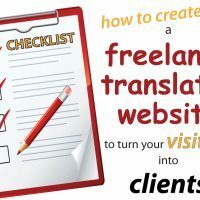 To give a quick example, you wouldn’t want highly technical content being translated by anybody other than a professional translator who is ALSO an expert in that particular field. This could have drastic consequences on the quality of your material when rendered in another language. Given their constant involvement in the translation industry, professional translators continue to keep themselves up to date with technological trends and changes in both language conventions and the cultural contexts relevant to those languages. They are also committed to maintaining their own professional development, which has an ongoing and positive effect on the quality of their work. 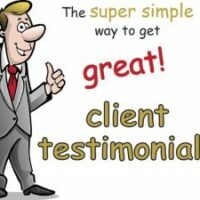 There are additional benefits to leaving your content in the hands of a professional translation company. This is especially so when having your material translated into several different languages. You will have a dedicated project manager who will manage the project for you from start to finish. Your project manager will be familiar not only with the language combinations you request, but also the specific peculiarities of each language. Your project manager will handpick the best professional translators based on their suitability for that particular project, language and context. 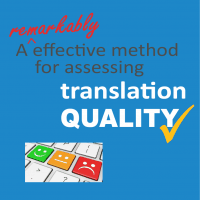 Your translations will pass through proven quality assurance procedures, like revision and editing, to guarantee quality and consistency across all languages. 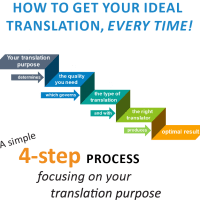 Understanding the difference between a professional translator and somebody who merely speaks another language can be crucial to getting quality results in your finished translations. Professional translators have skills, knowledge and experience that go far beyond linguistic proficiency alone. They are much more likely to produce a good quality translation than an untrained bilingual. Using a professional translation company rather than individual translators offers other potential benefits. They bring expertise in translation project management, and superior quality assurance measures. They will also allocate work to the translators best suited for a particular text or project. 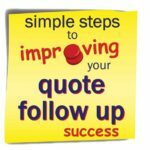 This all adds up to higher translation quality and peace of mind for you and your business.